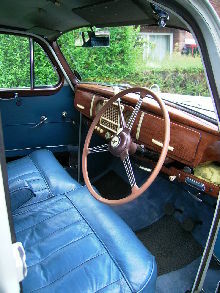 Along with every other major British car manufacturer, Austin soon realised the need for more modern car designs which it could sell at home and more importantly abroad. 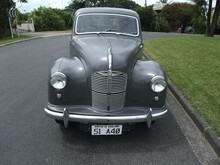 In 1947 Austin launched its first post-war family saloon range, the A40 Devon and A40 Dorset. 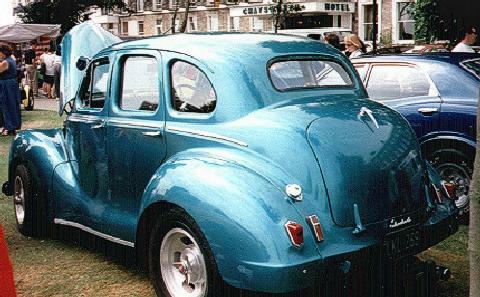 Both cars were built on a separate chassis but with modern saloon body styles and overhead valve 1200 cc engines. 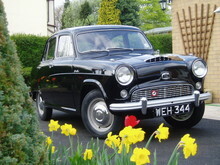 The Devon proved to be the most popular of the two cars, its four door body being ideal for small families, in fact by 1951 Austin had decided to drop the two door Dorset from the range. 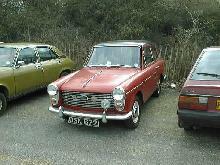 Other A40 Devon variants were also available including a Countryman estate car, Van and Pick-up as well as a Sports version (see separate entry). 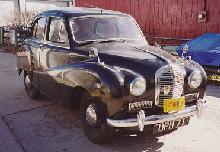 The A40 Devon was eventually replaced in 1952 by the larger, more bulbous A40 Somerset range. 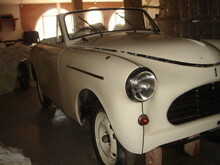 The Devon had served well during its production run, earning much needed export orders from around the world. The A40 was produced in miniature form as a child's pedal car and sold by Austin dealers as the J40, these small toys are now easier to find than the real car! 7' 8" 4' 1" 12' 9" 5' 1" 0 (19) 0' 0"